If you were in or around Moscow on March 29th 2011, then you probably heard the collective whole of Eastern Europe cry out in despair upon hearing the news that faux lesbian electropop duo, t.A.T.u. were splitting up. The Internet was soon flooded with fond rememberences of the popular girl group. Condolences were passed along to an inconsolable Mischa Barton, who's critically acclaimed movie about finding love at a t.A.T.u. concert would never get a sequel. Yes, ladies and gentlemen. March 29th 2011 will be a day that will forever live in infamy. Labels: Clark Owen, Julia Volkova, Lena Katina, Music News, Music Videos, Remixes, t.A.T.u. 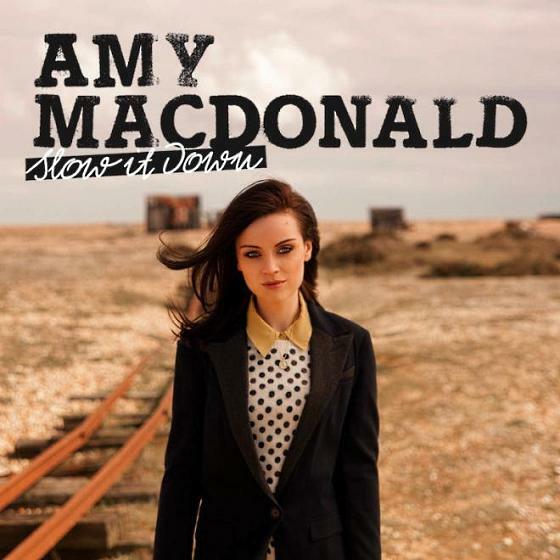 Just this past week, Scottish singer/songwriter Amy Macdonald released the video for her new single, "Slow It Down," taken from her upcoming third album, Life In A Beautiful Light, due June 11th (iTunes UK) via Melodramatic/Mercury Records. Macdonald stars in the Pip-directed video, standing alongside a desert cliff with a beautiful mountain vista as her backdrop, skillfully strumming her guitar. The video is interspersed with clips of a handsome dark haired guy, played by at three different actors, (each representing said GUY at different ages) as he runs, rides a horse, swims and drives in search of, seemingly, a lost love. It's really quite beautiful.